The average cost of memory care in El Dorado County is $6,321 per month. This is higher than the national median of $4,655. Cheaper nearby regions include Placer County with an average starting cost of $4,433. To help you with your search, browse the 6 reviews below for memory care facilities in El Dorado County. On average, consumers rate memory care in El Dorado County 5.0 out of 5 stars. Caring.com has helped thousands of families find high-quality senior care. To speak with one of our Family Advisors about memory care options and costs in El Dorado County, call (855) 863-8283. Across El Dorado County, an estimated 8.6 percent of seniors aged 65 or older are living with Alzheimer's disease or other dementia. In 2017, seniors in this age group accounted for 20.4 percent of the county's population of approximately 189,000. To serve seniors who need care beyond what families can provide at home, El Dorado County offers two memory care facilities. These facilities are known throughout the county and state as Residential Care Facilities for the Elderly (RCFEs). When it comes to air quality, El Dorado County gets a failing grade for ozone pollution. Seniors, who are at a higher than average risk for health problems caused by pollutants, may be better off avoiding a memory care facility's outdoor areas on days when the air quality is especially poor. Seniors who use a memory care facility's outdoor area will appreciate the county's weather, which has a comfort index of 77 out of 100. In a typical year, the county receives 246 days of sunshine and only 38 days with precipitation. July is generally the hottest month, with an average high temperature of 91, and January the coldest, with an average low temperature of 36. Knowing how a county's cost of living compares to state and national averages may help families as they make plans to finance memory care. In El Dorado County, healthcare costs are 6 percent below the state average and 13 percent below the national average. The county's overall living costs for all categories, including housing, groceries and transportation, are 16 percent below the state average but 53 percent above the national average. Local and state tax laws can have a major impact on how much income seniors and their families have left over for memory care. Across El Dorado County, there is a combined sales tax rate of 7.25 percent. Across California, Social Security benefits are tax-free, while other types of retirement income, including withdrawals from pensions, IRAs and 401(k) plans, are taxable. Memory Care costs in El Dorado County start around $6,321 per month on average, while the nationwide average cost of memory care is $4,781 per month. It’s important to note that memory care rates in El Dorado County and the surrounding suburbs can vary widely based on factors such as location, the level of care needed, apartment size and the types of amenities offered at each community. 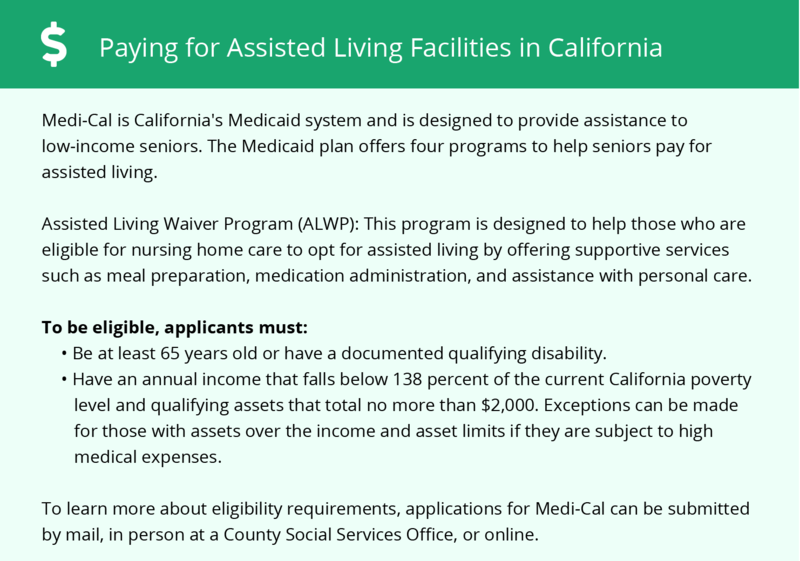 El Dorado County and the surrounding area are home to numerous government agencies and non-profit organizations offering help for seniors searching for or currently residing in an assisted living community. These organizations can also provide assistance in a number of other eldercare services such as geriatric care management, elder law advice, estate planning, finding home care and health and wellness programs. To see a list of free memory care resources in El Dorado County, please visit our Assisted Living in California page. 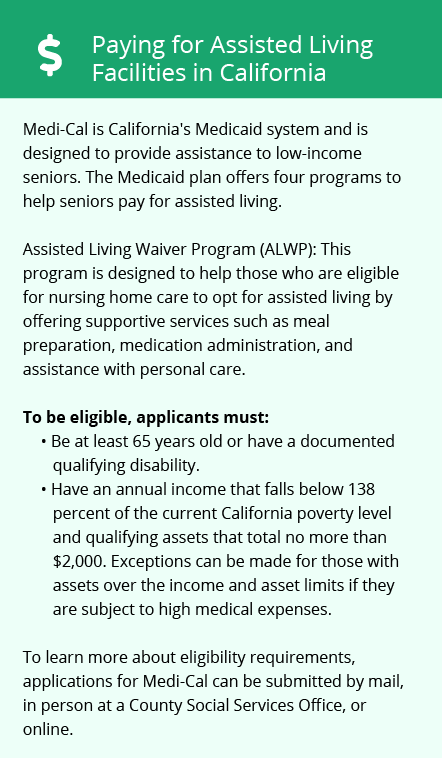 El Dorado County-area assisted living communities must adhere to the comprehensive set of state laws and regulations that all assisted living communities in California are required to follow. Visit our Memory Care in California page for more information about these laws.